Gary is the President and Founder of the Scholar Hotel Group. He started his real estate career in 1990 which has included senior level and partnership positions with Lincoln Property Company, FB Capital Partners, and Meridian Realty Advisors. His experience and expertise include development, finance, acquisitions, dispositions, asset management and joint ventures. He has been the principal partner in four real estate investment funds, including PB Funds I & II, investing over $350 million in all property types and investment strategies. Gary acquired his first hotel in 2006 and has since been directly involved in the hospitality business as an investor, developer and manager. He has worked with Marriott, IHG and Hyatt brands while also acquiring and redeveloping several independent branded hotels. 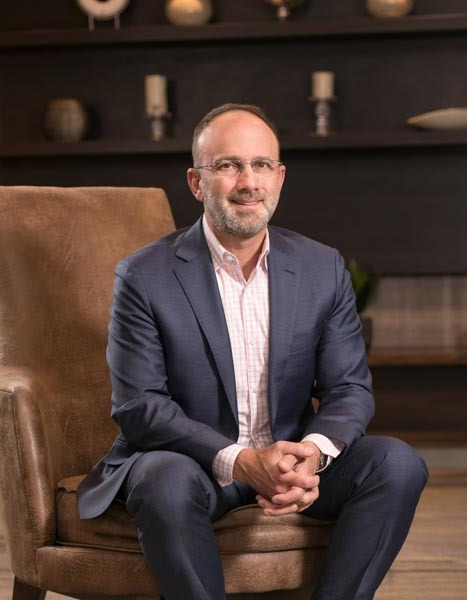 He has led the ownership and management teams of the Marriott Courtyard – City Avenue, Philadelphia, the Hyatt Place – State College, PA/Penn State University, the Sawgrass Grand – Sunrise, Florida and the first Scholar branded hotel in Morgantown, West Virginia. Gary was also the founder and managing partner of two real estate technology companies – (i) PropertyLogic LLC, an innovative real estate technology company that has won numerous awards including the Digital Innovation Award given by the Realcomm Conference and (ii) iBuilding, a successful business model for implementing property level technology to enhance property values and increase tenant satisfaction. A consummate entrepreneur, Gary brings a creative and thoughtful mindset to everything he does. He started his career in public accounting with Price Waterhouse. He is a Certified Public Accountant and holds a B.S. in Accounting from The Smeal College of Business of The Pennsylvania State University.